USANA, word! : How much do you really know about your immune system? How much do you really know about your immune system? Good health starts with a healthy immune system, but how much do you really know about your immune system? Let’s start with the basics, what is your immune system and what does it do? Your immune system is your body's defence against infection and illness. It recognises the cells that make up your body, and will try to get rid of anything unfamiliar. It destroys germs (bacteria and viruses) and parasites. These biological structures protect against disease, help co-ordinate wound healing process, cellular/tissue turnover, repair, and (re)building. 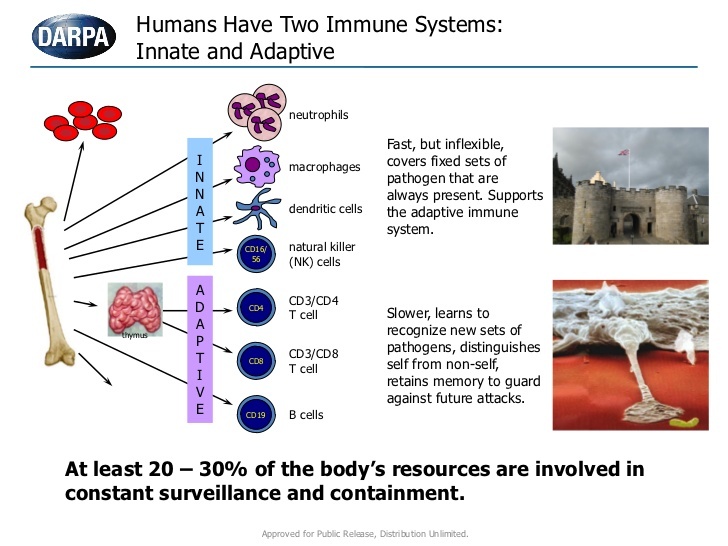 There are two different types of immunity – innate and adaptive (see diagram). 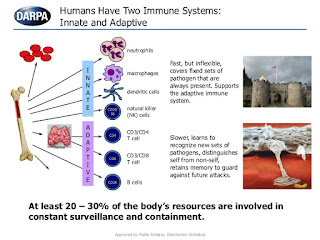 Your immune system uses a huge army of “defender cells” which are different types of immune cells. The cells are made in your bone borrow and you make about 1000 million of them every day. Some of these cells, called macrophages, constantly patrol your body, destroying germs as soon as they enter. This is your innate immunity. If an infection begins to take hold, your body fights back with an even more powerful defense of T and B-cells which give you acquired immunity, so that the same germ can never make you as ill again. This is your adaptive immunity. 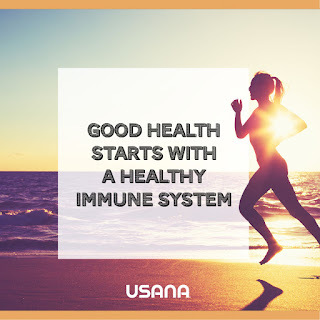 So why is your immune system important? How do you take care of your immune system? Common-sense practices such as getting enough sleep, eating healthy foods, exercising, and reducing stress all appear to play some role in immune system function. Supplements are also an option, but if have medical conditions and are on medications, you should consult your doctor before consuming.